Leaving the safety of his brick walk, he crossed the gravel path into her side to discuss how the languishing tree was affecting their accreditation as a certified backyard bird habitat. 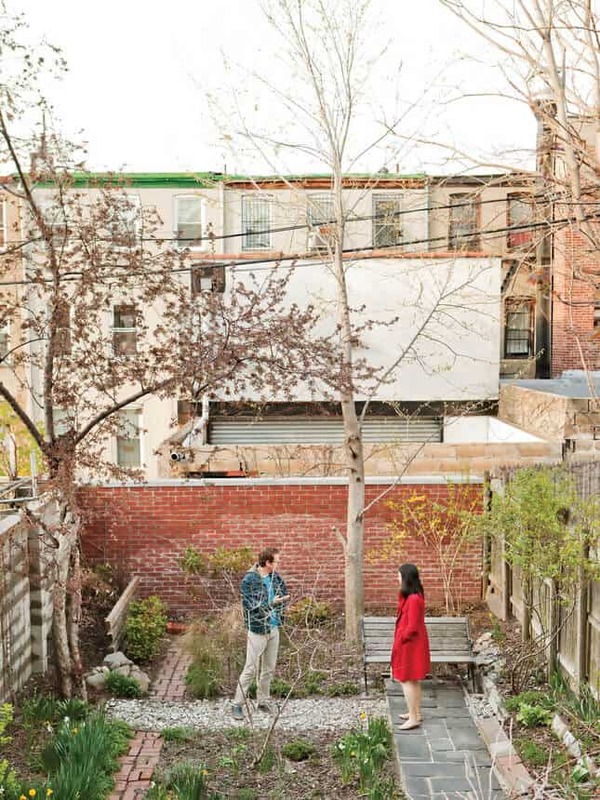 You don’t need a big garden to capitalize on hipster style elements such as exposed brickwork, and neutral tones. A great garden is shown in the photo above, crafted from nothing but a space bordered by differing types of brick, and a wooden fence. Nothing more than two trees stand in this autumn scene with a surrounding few shrubs. The accent comes from the short but beautiful pathways set in place using nothing more than stones, tiles, and again brickwork. Paired to the concrete slab lying atop the red-brick wall is a vintage unfinished double-chair. It sets a rustic scene while rounding off this highlight of color. Matched to the wooden seating is a garden border flanked by a small rockery. Notice how it takes nothing more than careful placement of fixed design elements to bring about a blend of neutrals that keeps even the most devoted minimalist happy. In this autumn scene one gets only a glimpse of the sea of color this space delivers during the spring and summer. Instead of brown, dusty patches of sparsely green foliage, you have blooming flowers and a flourish of inviting shades of yellow and green. While a patio area is not apparent, one can assume that the black slate path leading out of the photo is the one in question. After all, there could be no better place to unwind on this property given the simple yet captivating garden.